As a service to the community, your school has contracted with us to offer or administer an accident insurance plan for your student. This is a valuable option to parents/guardians who, because of various reasons, do not have health insurance. It is also an excellent way to supplement your health insurance if your plan has a large deductible, copay, or coinsurance, including HSA plans. 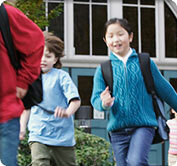 To find information regarding your student accident insurance plan or to submit a claim, please select "Find My School".